Typically we head out of town for spring or summer vacation, but sometimes that’s simply not possible. This month the Icon Student Spaces Blog will be highlighting places to visit in our wonderful city. If you haven’t been out and about lately, maybe it’s time to play tourist right here in St. Louis, Missouri using your apartment as home base. The Missouri Civil War Museum has one of the most extensive Civil War collections in the country. The museum, located at Jefferson Barracks, opened two new exhibits: Through the Years and Hollywood and the Civil War. The latter includes costumes from the iconic movie Gone With the Wind. From a recent TripAdvisor Review: “This is the place to go for a spur of the moment outing. Wanted something to do on a lazy Saturday so we took a chance and drove 45 minutes. Very informative and interesting. Staff answers any questions you have, the video documentaries are well designed, and the clothing and artifacts are amazing. Well worth the drive.” — Leslie P.
From the website: “Founded in 1859, the 79-acre Missouri Botanical Garden is the nation's oldest botanical garden in continuous operation and an oasis in the city of St. Louis. Today, 153 years after opening, the Garden is a National Historic Landmark and a center for science, conservation, education and horticultural display.” The Garden is open from 9:00 AM to 5:00 PM, and tickets are available online. “St. Louis City/County residents enjoy discounted general admission to the Garden and free Garden admission on Wednesday and Saturday mornings before noon (exception: special admission rate events). Proof of residency is required.” Visit their website to learn more and plan your trip. The park offers a variety of services including events and summer art classes that you can enjoy. Or you can simply stop by to stroll through and enjoy the sculptures. This guide for families offers some insights on how to get the most from your visit to the park. With events happening all summer long, you’ll want to check the calendar — on April 27 there will be a Mud+Merlot:Vases event. Check out the Laumeier Sculpture Park website for all the details about the park and events. 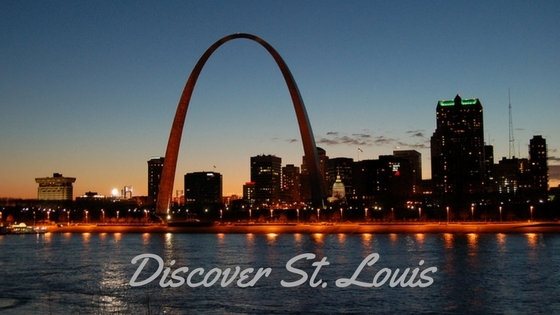 We hope you enjoy getting out and about in St. Louis this spring! Where is your favorite place to visit over the weekend? Let us know in the comments. Thanks for reading today’s post. Happy traveling right here in the city.